Home Off Beat	Duck Hunt tattoos- Incredibly cute! Duck Hunt tattoos are the coolest ones in the tattoo industry. If ever I plan to get inked, surely, Iâll go for it. Pictured here are two cute Duck Hunt Tattoos that Iâm sure all you tattoo aficionados out there would simply adore. 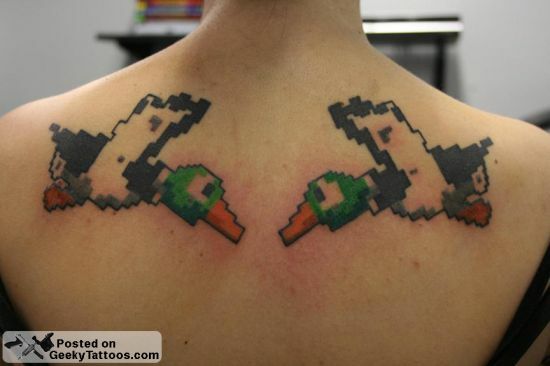 The pixelated pair of ducks is etched by a Jason in Minneapolis, MN. Not much to talk about the cool tats, just the lovely images.